Hi Jody and welcome to Whispers. 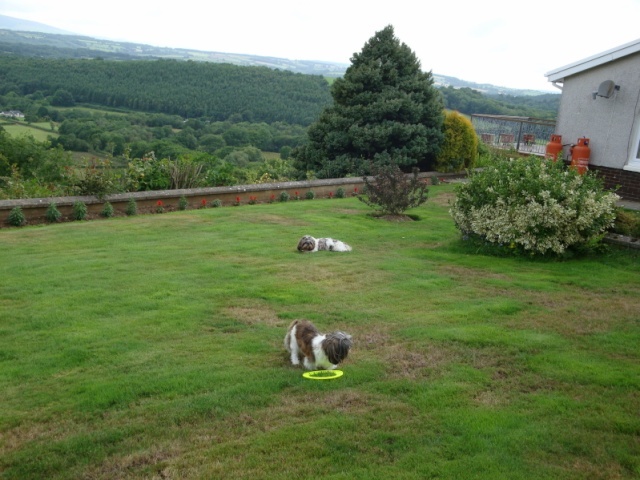 Hello and welcome Jody yes we are all addicted to Shih Tzu's I have two girls Mali & Tasha and trying for a boy but hubby said yesterday I could next time, to which I said 'can I' 'yes when these two are gone' isnt that dreadful he did laugh afterwards. Piccies of Tink please. OMG i am coming to live with you Carol!!! Your place is a amazing!! Yes I love it too.And no one can build around us either.The girls love exploring 'cos the garden is in several areas. And as it is all well fenced I know they are safe. The little monkies though, when you call them can be sitting behind a tree and won't come out, they wait for me to find them ,little madams they are . But don't yer just luv em?Glad you enjoyed yourself last night. Carol you are going to have to build an extension. Looks like theres lots of us moving in now, LOL! Thats not a problem as long as they are willing to help with the gardening Lol.